Click here to reach the event page. 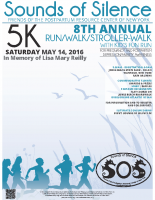 Event Donations Run Until May 31st. 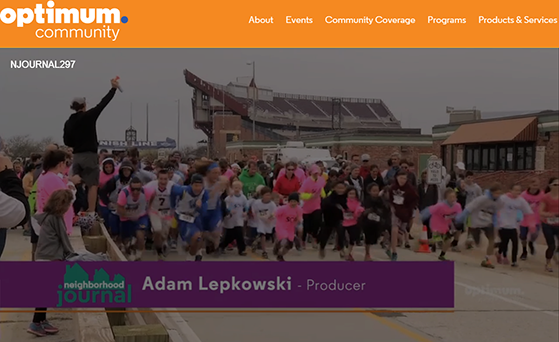 COURSE: Flat course on the beautiful Jones Beach Boardwalk overlooking the Ocean. 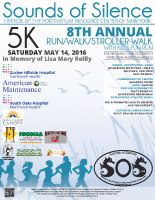 Yoga warm up, Raffles, Prizes, Music, Awards and post run refreshments. Awards and Prizes: Top overall male, female, and under 18 runners, top fundraiser, top fundraising team. Top male and female recognition in specified age groups. 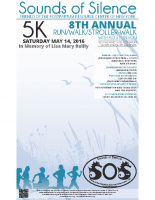 Commemorative t-shirts for anyone that registers by 11:59pm April 29th! RAFFLES: Designer products, gift certificates and more. Participants need to be present to win. 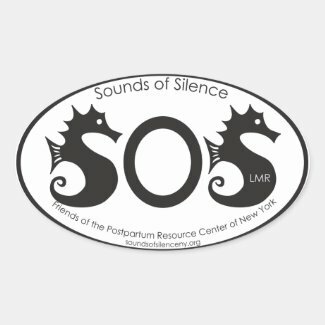 Sounds of Silence, Friends of the Postpartum Resource Center of New York, thank you in advance for your contribution to support a worthy cause. 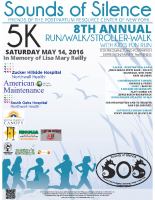 KIDS FUN RUN: Takes place after the 5K at about 10:30am. Open to children under 10 and their parents can get in on the action too! REGISTER: Please click here to register now! 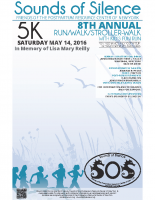 VIRTUAL RUNNER: Can't attend but would still like to participate? You can do that too. 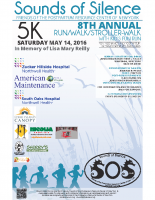 Register as a Virtual Runner at the registration page here. Once registered, you can also set-up a fundraising team. 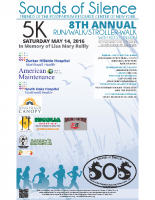 You can create a fundraising profile and create a fundraising team for this event by clicking here!! Official Poster/Flyers: Click on the images below to view and download the event poster/flyers. 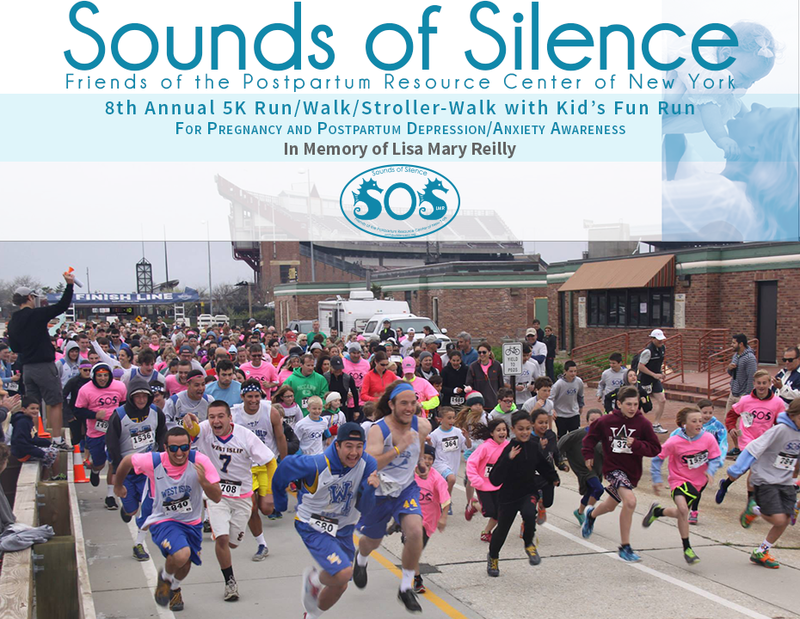 Join us on May 14th at Jones Beach State Park for the 8th Annual Sounds of Silence Run/Walk/Stroller-Walk event. Become a Sponsor in an event that benefits your customers – moms, dads, and families on Long Island and throughout New York State. Complete details are in the sponsorship form below. Please click on the form below to view and download. Show your support for moms, dads, and families on Long Island and throughout New York State all year long with custom products from our store! Please click on the images below to reach our store at zazzle.com/postpartum. A portion of each sale goes to support the essential programs and services of the Postpartum Resource Center of New York. 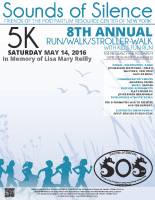 Below is a video from the 2015 Sounds of Silence event. Cablevision's Optimum Community, please click on the image below.